He was called a hero and a savior by his Mexican teammates. His Brazilian opponents said he produced miracles. There is no doubt that Mexico goalkeeper Guillermo Ochoa was the one responsible for spoiling Brazil's hopes of another World Cup victory at its home tournament. 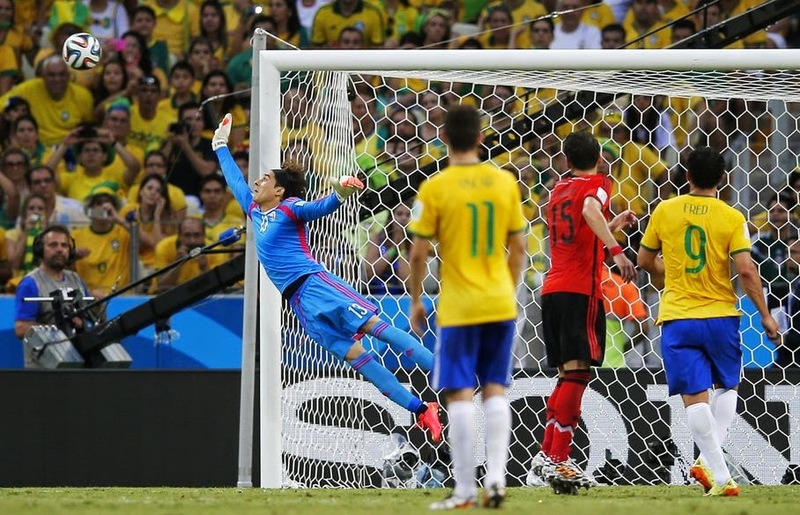 Ochoa made a series of outstanding saves to help his side hold Brazil to a thrilling 0-0 draw on Tuesday. The result left both teams with four points each after two games in Group A, but Brazil is ahead on goal difference going into their decisive final matches. Croatia and Cameroon meet on Wednesday for their second games after both opened with defeats. 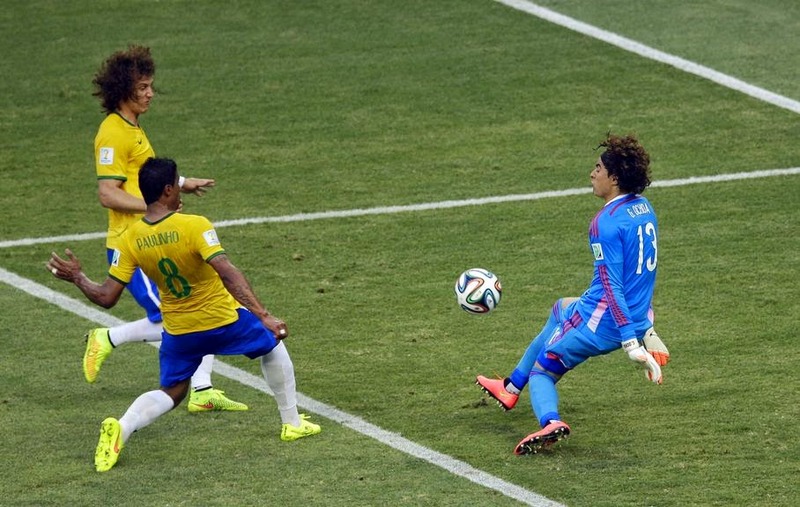 "We can't avoid talking about their goalkeeper," Brazil striker Fred said. "He came up with at least four miracles." 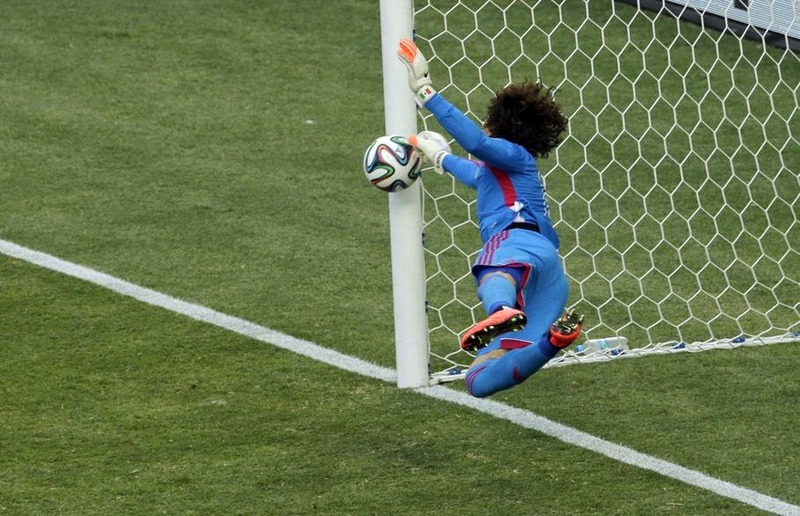 Ochoa's first remarkable save prevented Neymar from scoring in the 26th minute. The Brazil striker's powerful header looked set to fly just inside the post when the goalkeeper dived to his right to push the ball wide. Ochoa also made three other difficult saves to keep the hosts from breaking the deadlock — a shot by Paulinho in the 44th, a second-half effort by Neymar from inside the area and a close-range header by Thiago Silva in the 86th minute which produced a remarkable block by the Mexico goalkeeper. "It was the match of my life," said Ochoa, who was visibly moved after the match. "To do it in a World Cup, in front of all the fans, it's incredible." 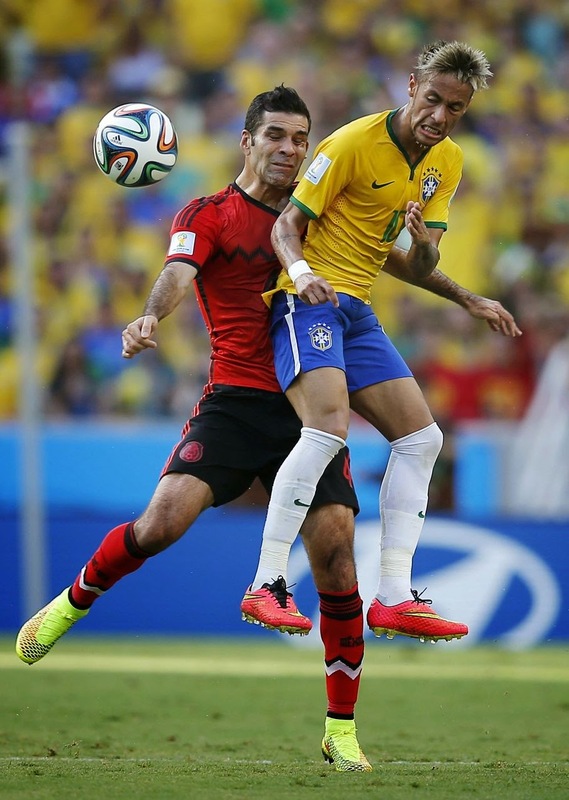 Mexico captain Rafael Marquez said Ochoa was the "savior" and coach Miguel Herrera called him the "hero" of the match." He did what we expected him to do, he came up with extraordinary saves," Herrera said. "I can't remember another Mexican goalkeeper doing such a great job in the World Cup." A win by either team would have guaranteed a spot in the next round if Cameroon and Croatia were to draw in the jungle city of Manaus. 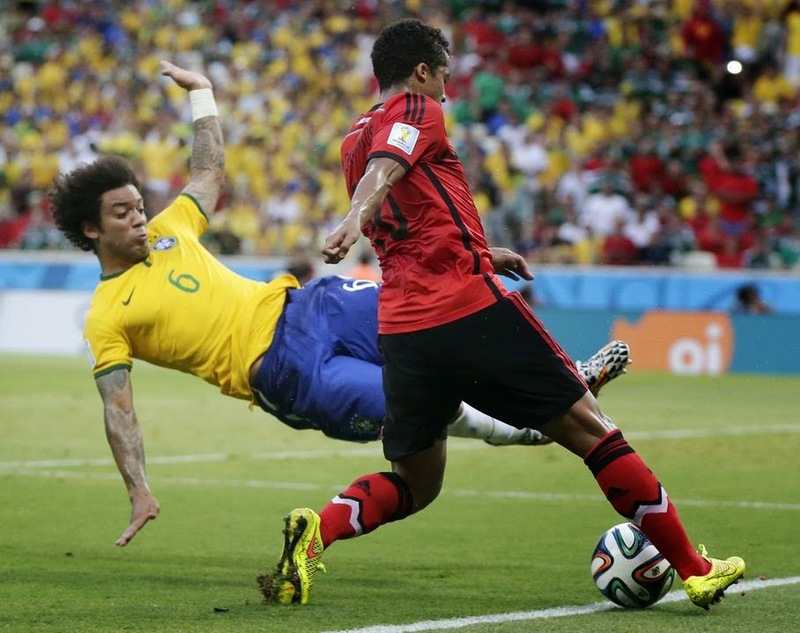 "In the end, the 0-0 mirrors what happened, it was a very hard-fought match," Brazil coach Luiz Felipe Scolari said. "The draw wasn't a good result because a victory would have already allowed us to advance, but we need to be able to respect our opponent, which played very well." Herrera was pleased with his side's performance. "We had a great match against a great rival playing in front of its fans, in its stadium, in its country," he said. "We showed that we can play at the same level as any other team." Brazil had won all three previous World Cup matches between the teams without conceding a goal, but the Latin American rivals hadn't met in the sport's showcase tournament since 1962. "We already expected a match this difficult," Fred said. "We tried to score until the end but it wasn't possible. We'll have to wait until the next match to try to secure a spot in the next round." 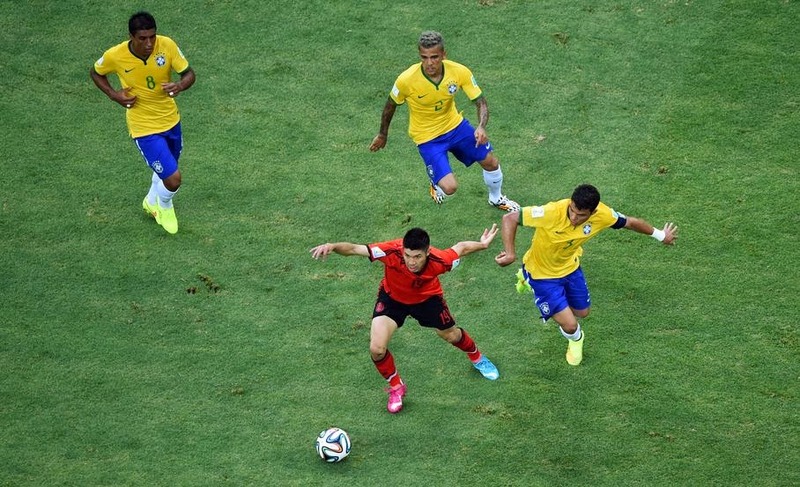 It was an evenly balanced game at the Arena Castelao, with Mexico not allowing Brazil to take control. El Tri didn't play defensively and created chances throughout the match, especially with long-range shots by midfielders Hector Herrera and Jose Vazquez. 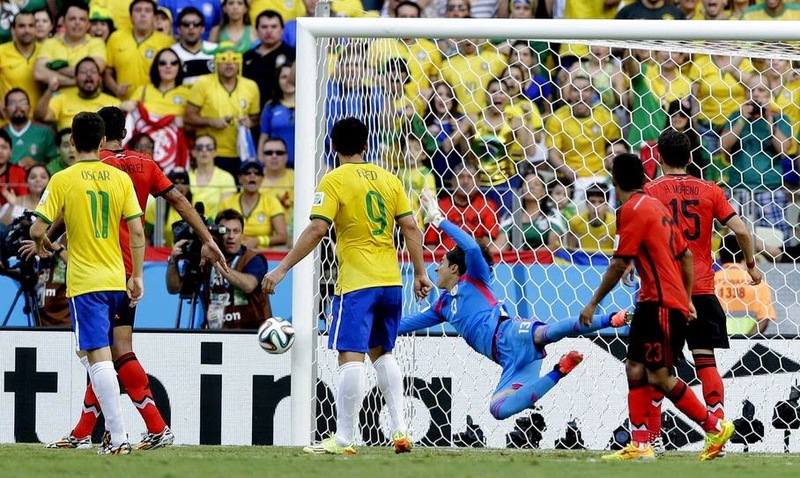 Brazil, playing without striker Hulk, turned up the pressure in the second half, but there was no getting past Ochoa. The 28-year-old goalkeeper denied Paulinho just before halftime, blocking the midfielder's shot after a loose ball inside the area, and then got his body in the way of Neymar's drive inside the box. In the 86th, he was there on cue to block Silva's powerful header from point-blank range. 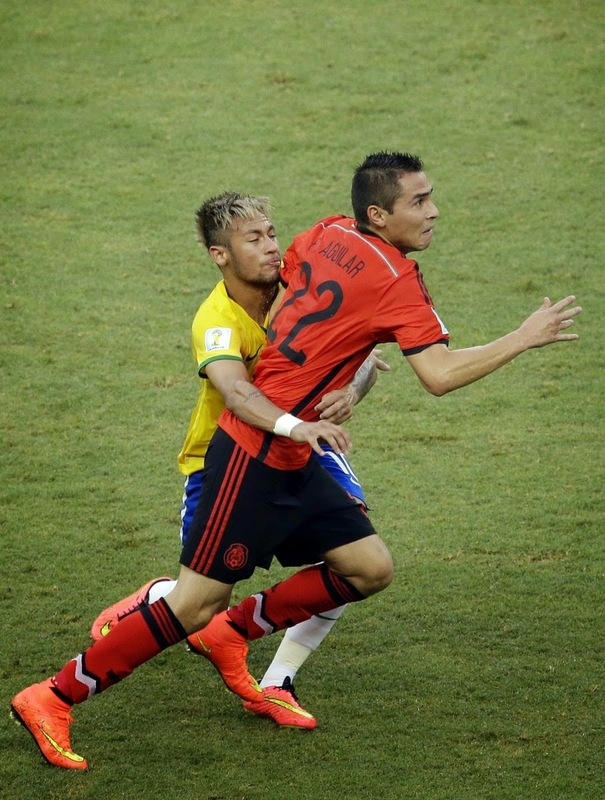 "The only thing missing was the goal," Scolari said. "We need to give credit to their goalkeeper. He had a great day and that kept us from winning the match. He made some spectacular saves, was the best player of the match." Fans wearing Brazil's green and yellow colors were the majority as expected, but Mexicans took over large seating sections of the stadium and at times were louder than the local fans. Among those in the crowd of 60,342 was NBA star Kobe Bryant, of the Los Angeles Lakers. Mexico had won six of the last 10 matches, including in the final of the 2012 London Olympics, keeping the Brazilians from earning their first gold medal in football. In their latest match, Brazil won 2-0 in last year's Confederations Cup, also in Fortaleza and also in the second match of the group stage. Brazil: Julio Cesar, Dani Alves, Thiago Silva, David Luiz, Marcelo, Luiz Gustavo, Paulinho, Oscar (Willian, 84), Ramires (Bernard, 46), Neymar, Fred (Jo, 68). Mexico: Guillermo Ochoa, Francisco Rodriguez, Rafael Marquez, Hector Moreno, Miguel Layun, Paul Aguilar, Jose Vazquez, Andres Guardado, Hector Herrera (Marco Fabian, 76), Giovani Dos Santos (Raul Jimenez, 84), Oribe Peralta (Javier Hernandez, 73).